Here's a LO of our son and his new bride. Adreienne is giving away a Clip-it-Up on her blog IF she gets 300 comments by May 21st. You can check out all the details and see a pic of exactly what she's giving away on her blog HERE. 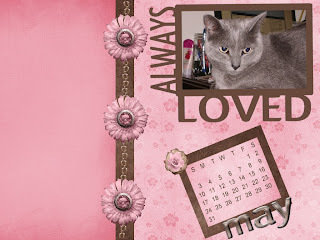 I haven't had time to do much scrapping lately. We realized tonight that we haven't been home for an entire evening in well over a week. No wonder we're tired. 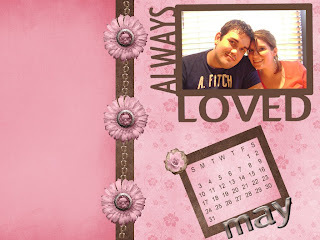 I have taken the time to do a couple digi desktops for myself and a couple friends. 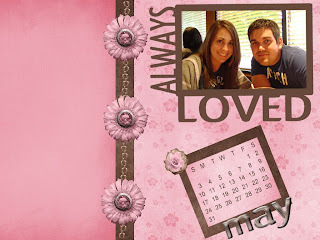 I love having a customized desktop with current favorite pics. 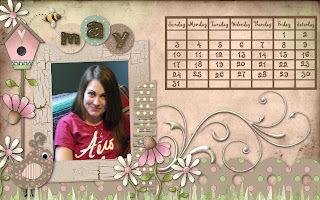 Templates make it so easy to have a different one every month (or multiple ones each month! *smile*). I like having different ones to change out the scenery on my work desktop too. 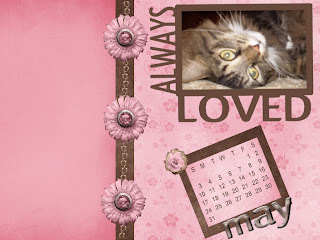 I found all the templates on Creative Busy Hands Digital Scrapbooking Freebies Search. It's a great place for digi freebies and is very well organized. They makes finding exactly what you'd like to have so much easier. Once you find something you'd like, you click it and you're taken directly to the designer's website. 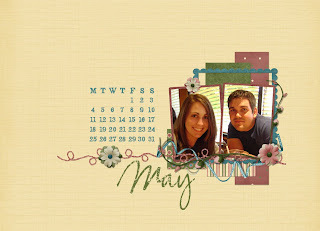 I did a few versions of this May desktop by Tinadell. You can find it here. I used this template to make this desktop of our daughter. It's by Lizz Gasaway and can be found here. 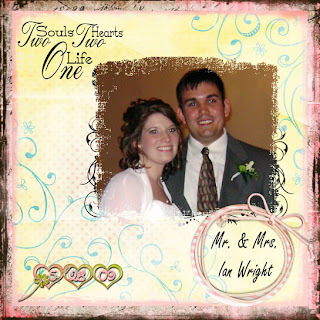 I also made one more of our kiddos with a template made by Laurie's Scraps and can be found here.